“We’ve launched our last satellite,” John Donovan, CEO of AT&T Communications, said in a meeting with analysts on Nov. 29. That’s the first paragraph of this article at Quartz. I have no doubt Mr. Donovan actually said that. But is it true? As recently as September. 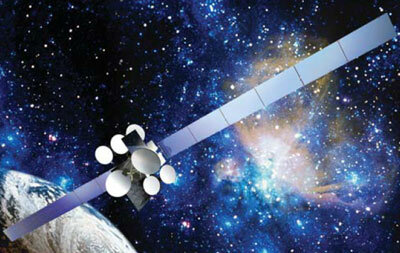 AT&T filed paperwork with the FCC relating to its as-yet-unlaunched T16 satellite. There’s been no notice filed that the satellite won’t launch. There’s been no news that the contract has been canceled. Not only are these things legally required, but this would be big news for both AT&T and the manufacturer (who is probably Airbus, but public sources are not clear.) It costs a lot of money to build and launch a satellite and if it weren’t going to happen, someone would lose a lot of money. You’d hear about it. Why would Mr. Donovan say that? He could simply have been mistaken, or he could have been caught off guard. Or, he could have been speaking sort of a half-truth. AT&T doesn’t need any more satellite capacity. Since there haven’t been any 4K channels launched, its newer satellites are sitting there with plenty of capacity. If 4K over-the-air television does launch, it could be 5 years or more before pay-TV services start carrying it. AT&T doesn’t need more satellites than it has now. In fact the bigger problem it faces is that some of its satellites aren’t really suitable for today’s TV. Some of the older satellites are designed to carry standard definition TV and not high-definition TV. Standard definition, also known as “blurryvision” and “the way you watched TV as a kid” is on its way out. It hasn’t been part of the broadcast TV landscape since 2009. Pay-TV providers are all moving to get rid of it as fast as they can. Those older satellites aren’t very useful since they can’t carry as many HD channels, if they can carry them at all. Some of the more recent satellites are also reaching their end of life point. It turns out that the first generation of DIRECTV-launched satellites, known as DIRECTV 10, DIRECTV 11, and DIRECTV 12, were not very durable. They suffered issues almost from the start and are on the slate to be replaced. Mr. Donovan could have meant, “we’re not increasing the number of satellites we have. We’re just replacing ones that break.” That is the most likely answer in my opinion. Does this mean AT&T thinks satellite TV is dead? Folks, AT&T is still paying for the DIRECTV purchase almost four years later. They are still integrating systems, paying off long-term notes, and still absorbing DIRECTV operations. Cutting off satellite TV at this point would be moronic. Yes it’s true that satellite TV’s customer base is shrinking, but I think at this point everyone knows that and everyone expects that. There are still well over 20 million satellite TV subscribers and at the current rate of shrinkage it could take 40 years before they all just “fade away.” Even assuming an increase in subscriber losses it could be 10-15 years before satellite TV is a thing of the past. Remember there are still people who use fax machines and WordPerfect. There are still people who use typewriters. Satellite TV is much newer than those technologies. Satellite TV is most definitely not dead. It will take at least a decade before internet is so robust that it can completely replace pay-TV in commercial environments. I’m sure that time will come but it’s not there yet. Businesses, restaurants, hotels, and other large operations benefit from the “broadcast” model of pay television. The internet doesn’t scale up the same way and it’s going to take some time before you’ll be able to have a 500-room hotel with internet-only TV that actually works. As for home users, satellite TV is still a great solution. NFL Sunday Ticket is still the most popular and most profitable sports package, ever. And of course there is only one place to get it. AT&T may move Sunday Ticket to streaming at some point, but that’s a long way off. Right now it’s the company’s biggest weapon in keeping satellite TV afloat and they’ll keep using it. but for all those (including Quartz) who want to say that this offhand remark signals the end of satellite TV, I’d say you’re simply mistaken. Period, end of discussion.